"The law on biotechnology will be passed soon and you will be able to grow genetically modified crops on your farms," said Hon. Fred Bwino, current chairperson of the Science and Technology committee of the Ugandan parliament. Hon. Bwino, who represents Kigulu North Constituency, Iganga district, Eastern Uganda, was officiating at a biotechnology and biosafety education awareness workshop in his constituency on November 24, 2018. Over 70 participants took part in the workshop, including farmer leaders, cultural and religious leaders, extension workers and representatives of key community civil society organizations. While giving his opening remarks, Hon. Bwino lauded the Uganda Biosciences Information Center (UBIC) and the National Agricultural Research Organization (NARO) for their on-going efforts of sensitizing the public on agricultural biotechnology. He noted that science and technology play a vital role in addressing the key challenges that the farmers are facing, and tools such as biotechnology come in handy to solve problems of climate change, pests and diseases, and stubborn weeds. Mr. Nassib Mugwanya—Outreach Officer at UBIC revealed to participants the on-going research at NARO, and how the results have shown commendable benefits of pest resistance and drought tolerance in biotech crops such as maize. In a separate but related development, UBIC facilitated a biotechnology community knowledge sharing and exchange activity among farmers in Busukuma Sub County, Wakiso district on November 17, 2018. During the activity, Jemimah Barisiyoy, a prominent farmer and community leader shared with over 20 farmer leaders her experience of using improved seed technologies on crops such as cassava and maize. Jemimah noted that improved varieties of crops such as cassava have been very helpful in dealing with disease problems in cassava. She urged participants to reach out to their respective area members of parliament to quickly enact a law that will enable them have access to more resistant varieties. For more updates about biotech in Uganda, contact ubic.nacrri@gmail.com. Genes determine the variation in plant traits. Different versions of a gene can lead to different traits. However, genes are not the only determinant of such traits, and researchers are learning more about another contributor: epigenetics. Epigenetic factors are things that regulate genes, altering their expression, and like genes they can be inherited from generation to generation, even though they are independent of the actual DNA sequences of the genes. One epigenetic mechanism is DNA methylation, which can turn genes on or off with the addition of chemical tags called methyl groups. Genes that share the identical DNA sequence, but have different patterns of methylation are called epialleles. Several studies have shown that epialleles can cause differences in traits between plant subpopulations. Mary Gehring's team at the Whitehead Institute has described evidence that epialleles alone can lead to different heritable traits in plants. In plants, methylation states of genes change most frequently during seed development, when genes are switched on or off to progress development of the organism. During this period, a conflict of interest arises in the genome of each seed between the parts inherited from its mother and father. Mother plants produce seeds fertilized by different fathers at the same time. The mother wants to give an equal share of nutrients to each seed to have many smaller seeds. But the father's interest is only for its seed to get the most nutrients and grow larger. This conflict plays out through an epigenetic mechanism called imprinting, in which, through differential methylation between the father's and mother's copies of a gene, one parent's copy is silenced in the offspring so that only the other parent's version of the gene is expressed. Gehring and her team found that when the strain loses its paternal imprinting, the timing of seed development is affected and the plant ends up with smaller seeds. This is consistent with the theory of imprinting: When the father's genes have the advantage, the seeds are larger than when both parents' genes are equally expressed. For more details, read the news release from the Whitehead Institute. An international team of scientists has published a paper that highlights the potential of citizen science in addressing the pressing research challenges in agriculture and food systems. The researchers found that one key to capitalizing on such efforts may be to build stronger ties between citizen science and agricultural extension efforts. The research group defines citizen science as "research in which non-scientists play a role in project development, data collection or discovery and which is subject to conventional peer review." It has been around for centuries, but received renewed attention recently, partly because of the recognition that engaging citizens in science can speed scientific discovery, democratize engagement in science and, potentially, improve or influence the decisions stakeholders make in light of science. The researchers analyzed hundreds of academic articles, and found that, as long as a study was well-designed, citizen science could produce solid findings, make a research project more cost effective, and allow researchers to expand the scale of their studies dramatically. Another key idea is that that agricultural extension and citizen science practitioners could learn from each other, and such partnerships hold a lot of potential for addressing agricultural research challenges. For more details, read the paper published in the Proceedings of the Royal Society B. "We mustn't do what other countries have already done; we must do what no other country did," said Bioceres CEO, Federico Trucco while presenting the HB4 wheat, a transgenic wheat variety with drought tolerance trait. The development started in mid 1990s when Raquel Chan and her team identified the HB4 gene that confers sunflower seed with drought tolerance. In 2003, Bioceres reached an agreement with Conicet to develop it commercially. In 2007, HB4 was transferred to other crops such as soybean, maize, and wheat. To date, the technology is one step away from being available to Argentinean farmers. The developers are just waiting for the findings about the impact of HB4 wheat on the markets (domestic and foreign) to be released by the Ag-Industry Secretariat. "Initially we have seed to plant 20,000 hectares next year. I hope Government authorities realize that HB4 is a milestone for the scientific sector in the country and for the food and agricultural chain," Trucco added. Australia's Office of the Gene Technology Regulator (OGTR) has issued license DIR 164 to Monsanto Australia Proprietary Limited, for the limited and controlled release (field trial) of canola genetically modified (GM) for herbicide tolerance. The field trial (License Application DIR 164) is authorized to take place on January 2020 to January 2024, in up to 15 sites per year for the first two years and 20 sites for the third and fourth years, to be selected from 140 possible local government areas in New South Wales, Queensland, South Australia, Victoria and Western Australia. The field trial will assess agronomic performance of the GM canola in all canola growing areas of Australia. The GM canola from this field trial will not be used for human food or animal feed. The final Risk Assessment and Risk Management Plan (RARMP) concludes that this field trial poses negligible risks to people and the environment and does not require specific risk treatment measures. The finalized RARMP, together with a summary of the RARMP, a set of Questions and Answers on this decision and a copy of the license, are available online from the DIR 164 page in the OGTR website. 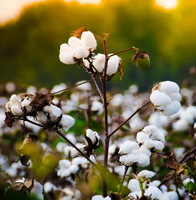 International Food Policy Research Insitute's David Orden and University of Guelph's Karl Meilke conducted a study to determine the impact of Bt cotton adoption on the well-being of cotton farmers in Pakistan. The researchers used propensity score matching method and found that Bt cotton adoption has positive impacts on the well-being of the farmers. However, the extend of impacts depends on the agro-climatic conditions and farm size. For instance, the impact of Bt cotton adoption on yield for small farmers is about is about 50 percent of the same for large farmers. Furthermore, the impact of Bt cotton adoption on household income was positive and significant for medium and large farmers, but not for small farmers. The impacts of Bt cotton on yield and income are larger under hot and humid conditions compared to those under hot and dry climatic conditions. Read more results from the International Journal of Food and Agricultural Economics. 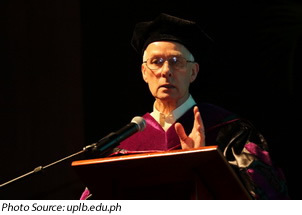 Sir Richard Roberts is best known for his discovery of split genes, RNA splicing, and his contributions to the wide availability of restriction enzymes. His discovery of the split gene structure, and consequently, the understanding of RNA splicing, has become one of the basic knowledge of molecular biology today, while restriction enzymes have become vital tools in all molecular biology laboratories. Essentially, the practical applications of Roberts' discovery completely altered the course of genetic research and led to momentous developments in different fields including medicine. In his address and lecture during the conferment ceremony, he spoke at length about the potential of GMOs to address food security and malnutrition especially in developing countries as well as the role of each sector in promoting the safety of genetically engineered crops. 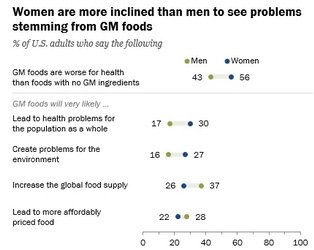 "We need more science in politics and less politics in science. Politicians must listen to the scientists they fund. [We should] stop supporting the idea that food produced by GMO methods must be inherently dangerous when science shows that they are not," he stated. In 2017, the eighth year of planting Bt cotton in Pakistan, the country achieved 96 percent adoption rate of Bt cotton, or 3 million hectares of the national total area planted to cotton which was 3.11 million hectares. A publication by the International Society for Southeast Asian Agricultural Sciences (ISSAAS) states that 725,000 smallholder cotton farmers in Pakistan planted and benefited from Bt cotton in 2017. The increase in Bt cotton area in Pakistan in 2017 was possible through the introduction of a substantial support package for farmers, including fertilizer subsidies, reduced loan interest rates, and other measures introduced by the government of Pakistan. The recent Global Status of Commercialized Biotech/GM Crops by the International Service for the Acquisition of Agri-biotech Applications (ISAAA) reports that Pakistan is one of the 24 countries that planted biotech crops in 2017. For more, read the article in Pakistan Today. Drought and heat stress highly affect yield in wheat and other crops around the world. Thus, genes that respond to these stresses are important in developing plants that can withstand such environments. In a gene expression study by researchers from China Agricultural University, the gene TaPEPKR2 from the wheat variety TAM107 is found to be responsive to heat and drought stress and can be found in chromosome number 5B of wheat. In a subsequent study, the same group of researchers transferred the gene into another wheat cultivar Liaochun10 and into Arabidopsis via Agrobacterium-mediated genetic transformation. This step was done to further determine the gene's function in wheat and dicots. Through thermotolerance assay, ion leakage assay, and dehydration tolerance assay, the researchers determined response of the transformed plants to heat and drought stress. Results showed higher expression of the gene in stressed plants than normal plants. Heat and drought tolerance are also enhanced in both wheat and Arabidopsis in the presence of the gene. The researchers concluded that TaPEPKR2 may have a role in the regulation of abscisic acid signalling and heat shock proteins during stressed conditions. Brown-colored cotton fiber is increasing in importance because it skips dyeing and bleaching during textile processing. This characteristic makes it more eco-friendly than white cotton and chemical fibers. However, studies have shown that the brown pigment is associated with low yield and low fiber quality. Thus, studying the biochemical and molecular basis of pigmentation is important to improve the color, productivity, and fiber quality of brown-fiber cotton and broaden its applications. Researcher Qian Yan from Southwest University in China and colleagues perform gene expression and transgenic analyses of a cotton version of an Arabidopsis gene TT2, which is involved in the synthesis of the brown pigment in cotton fiber. This cotton gene called GhTT2‐3A is observed to be involved in the activation of genes involved in brown pigment synthesis. The researchers also find that increasing the amount of this gene during the stage of secondary wall thickening resulted in brown mature fibers with fiber quality and lint percentage almost the same as the white fiber counterpart. Therefore, this gene may be a key to improve the yield and quality of brown fiber cotton. Rice, the most important staple food crop in Asia is commonly grown by transplanting seedlings into puddled soil and standing water. Despite the multiple benefits of manual puddled transplanted rice (PTR), it is a highly labor-, water-, and energy-intensive system, making it less sustainable, less profitable, and less attractive to farmers. In the face of changing climatic conditions, global water scarcity and escalating labor rates, when the future of rice production is under threat, dry direct seeded rice (DDSR) offers a viable alternative to PTR. Lack of suitable rice varieties for DDSR has been a major constraint for adoption in rice growing areas. A successful transition of rice cultivation from PTR to DDSR will rely on the development of new nutrient efficient-high yielding climate resilient rice varieties possessing better adaptability to DDSR. At International Rice research Institute (IRRI), traits and the QTLs associated with the traits that increase adaptability to dry direct seeded cultivation conditions such as root traits [nodal root number (qNR4.1, qNR5.1) and root hair density (qRHD1.1, qRHD5.1, qRHD8.1)] leading to higher nutrient availability under dry direct-seeded conditions, early vegetative vigor (qEVV9.1), early uniform emergence (qEUE1.1, qEUE11.1), and grain yield under direct-seeded conditions (qGY1.1, qGY8.1, qGY10.1) have already been identified. The polymorphic markers for early vigor, nodal roots, early and uniform emergence, drought tolerance, and grain yield under direct seeding, and gene-specific markers for blast, bacterial blight, and gall midge have been identified. In this context, a marker-assisted breeding program combining several genes for biotic and abiotic stresses and traits required for DDSR situation in many elite genetic backgrounds utilizing trait linked markers has been initiated at IRRI (Philippines) and Punjab Agricultural University, Ludhiana (India). The study conducted by Nitika Sandhu and colleagues was published in the Journal of Experimental Botany. Read the abstract for more details. Researchers develop ribonucleoprotein (RNP)-based screening for genome modifications by CRISPR and TALENs because of limitations of existing methodologies for screening. These methods include polymerase chain reaction (PCR) with restriction enzyme digestion, T7EI cleavage assay, and sequencing, which are limited by sequence requirement, non-applicability in high ploidy species, non-detection of heterozygous mutations, and high cost. PCR/RNP works by cleaving DNA sequences that are identical to the RNA in the RNP complex. The expected result of using this method is multiple bands for non-edited plants and intact single bands for edited plants for diploid or polyploid plants. Researcher Zhen Liang from University of Chinese Academy of Sciences and colleagues tested this method in hexaploid wheat and diploid rice that were edited using CRISPR and TALENs. 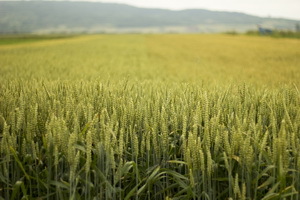 Results showed higher sensitivity of the method than DNA sequencing, high applicability in hexaploid wheat, and ability to detect edited genes using TALENs. This method proved to be useful because of its low cost and short time span requirement. The CRISPR-Cas9 complex is able to target genomic sequences of interest through a recognition site called PAM. As the number of genome's PAM sites is only to a certain number, other sites cannot be targeted by the CRISPR-Cas9 complex. This limitation is addressed by a more recently discovered enzyme called Cas12a or Cpf1, which recognizes a different PAM than Cas9. Scientist Lanqin Xia from Chinese Academy of Agricultural Sciences and colleagues applied the CRISPR-Cas12a complex in rice by targeting genes OsPDS, which encodes a phytoene desaturase, and OsSBEIIb, which encodes a starch branching enzyme IIb. The researchers performed Agrobacterium-mediated genetic transformation to deliver the gene editing complex and tested the feasibility, efficacy, and multiplexing activity of the complex. Results showed editing efficiencies 20 to 31 percent in single targets and 1 to 9 percent in multiple targets. Notably, multiplexing is applicable using the Cas12a enzyme and larger insertions and deletions are produced compared with those in Cas9. The applicability of Cas12a may also be tested in other crops and plant species. For more information, read the article in Molecular Plant. Tomato is a nutritious and economically important crop that depends on shelf life as a marketable quality. 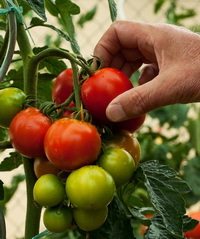 The shelf life of tomato is affected by softening, which is important in ripening, flavor development, fruit storage, and transportability of the crop. Softening is dictated by changes in cuticle and cell wall characteristics. To investigate the molecular basis of this trait in tomato, researcher Duoduo Wang from University of Nottingham in the United Kingdom and colleagues used CRISPR-Cas9 to edit genes PL, PG2a, and TBG4, which are all related to fruit ripening in tomato. Results showed that plants that have mutation in the PL gene have firmer characteristic, whereas plants that have mutation in PG2a and TBG4 have modified fruit color and weight. The researchers also found that these three genes are acting on different locations in the cell walls. The study further clarifies the roles of these genes in tomato ripening and may serve as basis for future modification of tomato towards longer shelf life. For more information, read the article in Plant Physiology. A study conducted at the University of Toronto (UT) has produced the world's first chromosome map of cannabis, revealing the plant's evolutionary past and points to its future as potential medicine. The researchers from UT's Donnelly Centre found that THC and CBD, bioactive substances produced by cannabis and sought by medical patients and recreational users, sprung to life thanks to ancient colonization of the plant's genome by viruses. The new map reveals how hemp and marijuana, which belong to the same species Cannabis sativa, evolved as separate strains with distinct chemical properties. Cannabis plants grown for drug use ("marijuana") are abundant in psychoactive tetrahydrocannabinol, or THC, whereas hemp produces cannabidiol, or CBD, popular of late for its medicinal potential. The enzymes making THC and CBD are encoded by THCA and CBDA synthase genes, respectively. Both are found on chromosome 6 of the 10 chromosomes the cannabis genome is packaged into. There, the enzyme genes are surrounded by vast swathes of garbled DNA which came from viruses that colonized the genome millions of years ago. This viral DNA, or retroelements as it is known, made copies of itself that spread across the genome by jumping into other sites in the host cell's DNA. For more details, read the news release from Connelly Centre.